On Saturday, deposit at least and get rewarded with a 100% bonus up to $500 by entering promo code: NOW100. The Curacao-licensed Drake Casino is a USA online casino running primarily on BetSoft software but offers hundreds of thrilling games, including table games, 3D slots, video poker, high-roller games, live casino games and much more. Step 1: Log into your account and check your Drake Club Level. On Tuesday, enter the promo code WIN75 when making deposits. You will get 75% reload bonus up to $500. 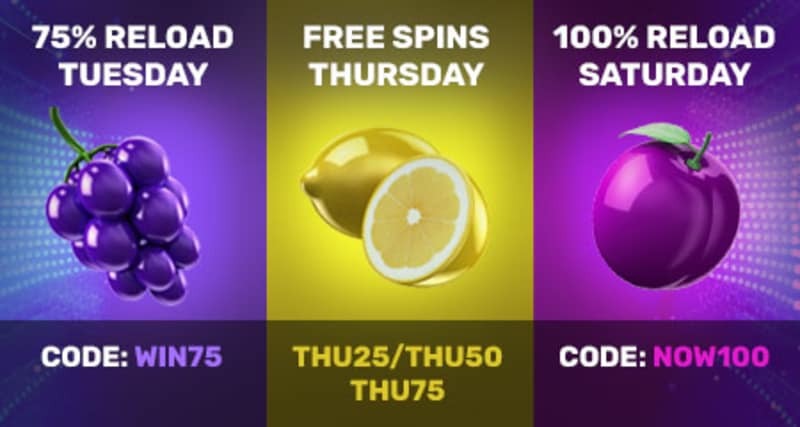 Step 2: On Thursday, pick your bonus options by entering codes THU25, THU50 or THU75 to receive 60, 125, or 185 free spins when you deposit at least $25, $50 or $75 respectively. Step 3: On Saturday, used promo code NOW100 when depositing to get 100% reload bonus up to $500.